We understand that orthodontic treatment can cause mild to moderate discomfort and may require additional office visits. We are happy to accommodate these repair and care visits during scheduled office hours. If we are away from the office for an extended period of time (holidays), there will be another orthodontist in the city available to see our patients. The emergency contact phone number and/or e-mail address will be provided on our answering machine. You are also welcome to e-mail us after hours (weekends) at afterhours@str8teeth.com for dire questions or concerns. My wire is poking me. Do I need to be seen after hours? In most cases, a piece of orthodontic wax can be placed on poking wires until an office visit can be scheduled. Feel free to ask us for wax at your visits; it is also available at drug stores. My teeth are hurting. What can I do? 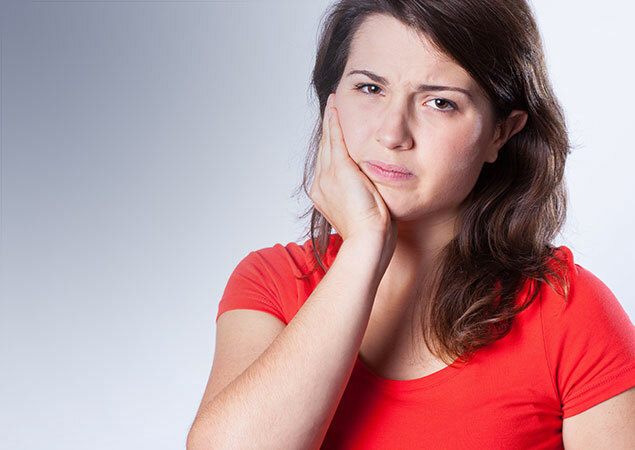 It is normal for teeth to be sore 24-72 hours after orthodontic visits. Over the counter Tylenol usually suffices to alleviate pain and discomfort. Bracket – call and we will see you during office hours. Band – call and we will see you during office hours. Aligner (Invisalign) – call and we will see you during office hours. Coil or spring – wind the coil back on the wire or call and we will see you during office hours. Elastic hook – call and we will see you during office hours. Appliance/Retainer – call and we will see you during office hours. Chain elastics – call and we will see you during office hours. Orthodontic elastics – call and we will see you during office hours. Retainer wires bonded behind the teeth – call and we will see you during office hours. We will address any appliance that is impinging in the palate, and an appliance, such as a Herbst, that is interfering with jaw closure. Be sure to e-mail us at afterhours@str8teeth.com. Most other issues will be addressed during regular office hours. Please call us to schedule an appointment. Here are our suggestions that will help ease any discomfort. Wax placed over the bracket guards against further discomfort and acts like a band-aid for your mouth. Use a large enough piece of wax to allow coverage of the whole bracket and be sure to dry the area first to allow the wax to stick. Tantum Oral Rinse is a prescription mouth rinse which cleanses, disinfects and soothes irritated mouth tissue. We suggest filling the prescription that we have provided, and using this rinse for the first day or two following the placement of the braces. Follow the directions on the bottle. Acetaminophen (Tylenol) is the best pain reliever for sore teeth. Follow the manufacturer’s directions regarding dosages and warnings. Soft foods will be your best choice for the first few days, until your lips and teeth get used to the new braces. Some good choices are: puddings, milkshakes, yogurt, scrambled eggs, pancakes and soups. See our List of Foods to Avoid for more information. | Web Design by SOS Media Corp.